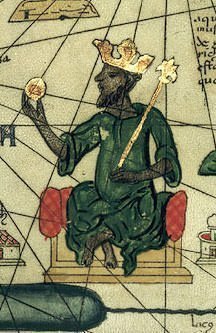 Musa I or Mansa Musa was the Emperor of Mali during the fourteenth century. Ranked the richest man of all time he is famous for his pilgrimage to Mecca which showcased his wealth to the cities he visited. Here are 10 interesting facts about Mansa Musa whose empire covered modern day Ghana, Timbuktu and Mali in West Africa. Mansa I of Mali was known by numerous names during his life including Emir of Melle, Lord of the Mines of Wangara, Conqueror of Ghanata, Lion of Mali and Kankan Musa. In the west he is popular by the name Mansa Musa. Musa is a Muslim name whose biblical equivalent would be Moses while Mansa means “King of Kings”. Mansa Musa’s grandfather was the brother of Sundiata Keita, the founder of the Mali Empire. It was common in Malian Empire that when the king undertook a journey, usually a pilgrimage to Mecca, he appointed a deputy to take care of the empire and then the deputy was declared as his heir. Mansa Musa was declared deputy by Emperor Abu Bakr II when he went to explore the limits of the Atlantic Ocean. Abu Bakr II never returned and in 1307 Mansa Musa became the tenth ruler of the Malian Empire. Mansa Musa is most famous for his pilgrimage to Mecca which he undertook in 1324, the seventeenth year of his reign. Such was the wealth that he displayed during the journey that eyewitnesses were awestruck and there are several references to it in journals, oral accounts and histories. It was this pilgrimage that showcased the extreme wealth of Mali to the world and made Mansa Musa a popular figure. Mansa Musa’s caravan consisted of 60,000 men including 12,000 slaves who dressed in Persian silk. Musa rode on a horseback with 500 slaves carrying gold adorned staff directly preceding him. He also took along with him 80 camels which carried 300 pound of gold each. Musa spent lavishly during his journey distributing gold to people and exchanging it for souvenirs in the cities he crossed on his way to Mecca including Cairo and Medina. When historian Chihab al-Umari visited Cairo twelve years later, the citizens were still singing Musa’s praise. The gold and gifts that Musa distributed lavishly upset their value in the market in the cities he had visited. The sudden influx of gold in the cities of Cairo, Medina and Mecca caused a decline in the value of the metal. This caused super inflation with the price of goods skyrocketing. Later Musa took back some of the gold at high interest from money lenders in Cairo to adjust its value. Even twelve years after his pilgrimage the markets couldn’t recover fully. This is the only instance in history when one man controlled the price of gold in the Mediterranean. After his return from Mecca, Musa undertook building projects. Many mosques and educational centers were built in Timbuktu and Gao. He brought architects from Spain and Cairo who built his grand palace and the famous Djinguereber Mosque. The great University of Sankore was also built during his reign. Musa’s grand palace no longer exists but the university and mosque still stand in Timbuktu. 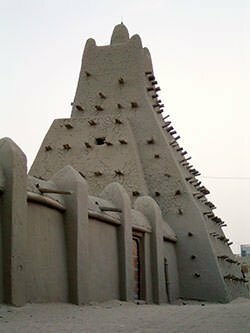 Another famous structure constructed during Musa’s reign was the Gao mosque in which burnt bricks were used for the first time in West Africa. Mansa Musa brought back several learned men from Egypt whom he met during his journey. 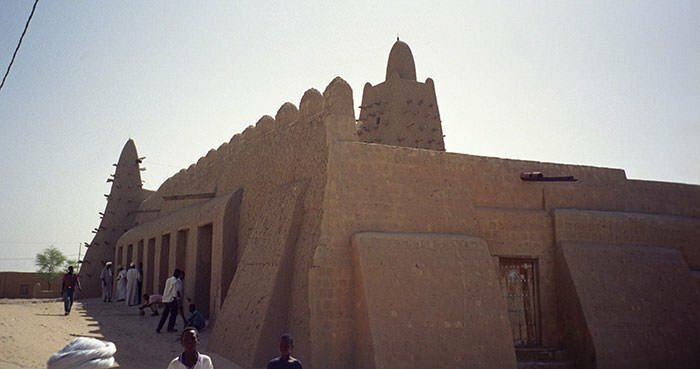 The University of Sankore in Timbuktu became a center of learning drawing Muslim scholars from all over Africa and even the Middle East. Due to his pilgrimage the world became aware of Mali’s wealth and this in turn made Timbuktu a center of trade where merchants from several cities including Venice, Granada, and Genoa traded goods for gold. The Mali Empire flourished during Mansa Musa’s reign and it extended to include several regions like the cities of Timbuktu and Gao. Moroccan traveller and writer Ibn Batuta, who visited Mali 12 years after Musa’s death, noted that it took him 4 months to travel from the northern to the southern border of Musa’s empire. He also wrote that he found ‘complete and general safety in the land’. Mansa Musa’s empire was one of the largest in the world during his time and he remains one of the greatest statesmen in the history of Africa. 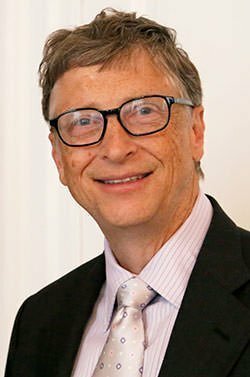 In 2012 Celebrity Net Worth took out a list of world’s 25 wealthiest people of all time after adjusting for inflation and Mansa Musa was placed on top of the list above names like Bill Gates and Warren Buffettt. It was calculated that Musa had a personal net worth of $400 billion at the time of his death. The Rothschild Family, who was placed at number two, had $50 billion less. The primary reason behind Musa’s extraordinary wealth was that Mali was responsible for more than half of the world’s salt and gold supply. There is confusion about the year in which Mansa Musa died due to contradictory accounts but it is likely that he died in 1332. 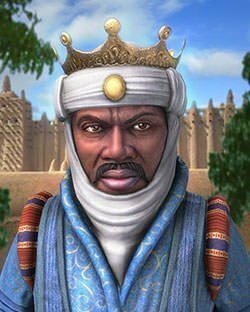 According to fourteenth century North African scholar, Ibn Fadl Allah al-Omari, of all the Muslim rulers of West Africa Mansa Musa was ‘the most powerful, the richest, the most fortunate, the most feared by his enemies and the most able to do good to those around him’. Wait, so if Mansa Musa had nearly 400 billion dollars at the time of his death, and during his life he spent a lot of money on universities and on charity… than how much did this guy have before he made his pilgrimage!!! Omg that’s exactly what I was thinking. I know right? And where did all that money go? Look it up. Slaves in Africa weren’t the same as African American Slaves today. They were well regarded people paying off a debt of some sort for a specified period of time. It was equal to a prison sentence. Not the same as the tragic genocide that was aimed at Africans in America. Read the facts. I can sue you you know right “Bubbles”…. The year in which Mansa Musa died is not known with certainty. Britannica says the year was probably 1332, The Independent puts it at 1331, while Daily News and Business Insider do say that the year was 1337. Anyway, thanks for your interest in the article and for pointing out the year which several sources cite. this is not a love site,u guys-but hey right back….i wonder where oh-so-perfect-Mansa Musa got his wealth…Do y’all know?jonathon? Am flattered to read this interesting story of the famous king who helped people and feared by his enemies. This Ten facts are so helpful I finished my project in no Time at all with this website So I sujust people go on this website for any kind of facts on any thing LOL OMG use this WEBSITE !!!!!!!!! You guys know that only non-scientific sources claim he was the richest man ever lived? Stop hating kek; there is always one. Well I am pretty sure he isn’t even close to the richest in History. SINCE Genghis Khan was right at 200 times wealthier at nearly $100 Trillion.